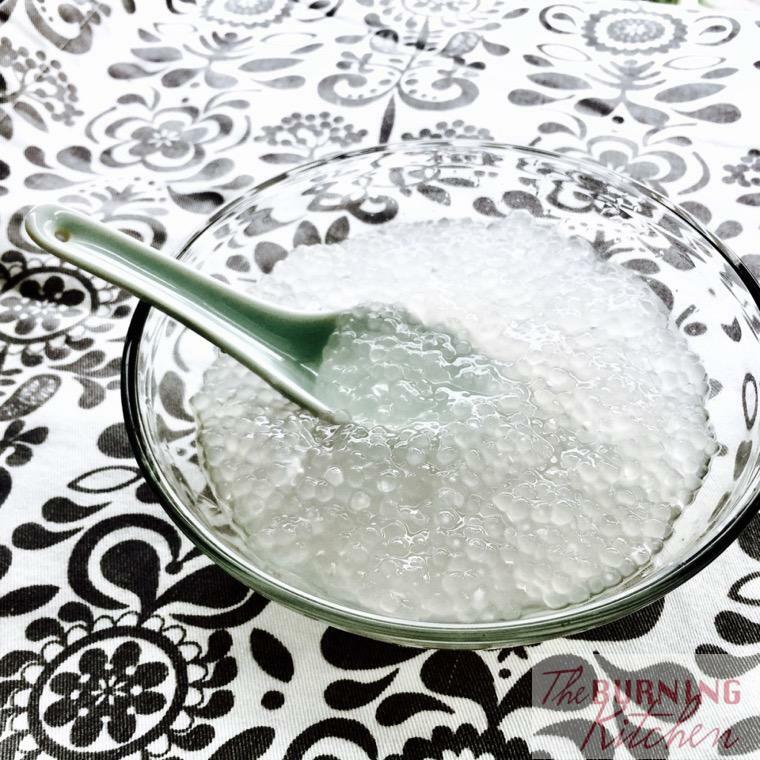 How NOT to Cook Sago – 3 Common Mistakes People Make: Does your sago turn out more gluey or starchy that you like it to be? You may be making some of these mistakes! 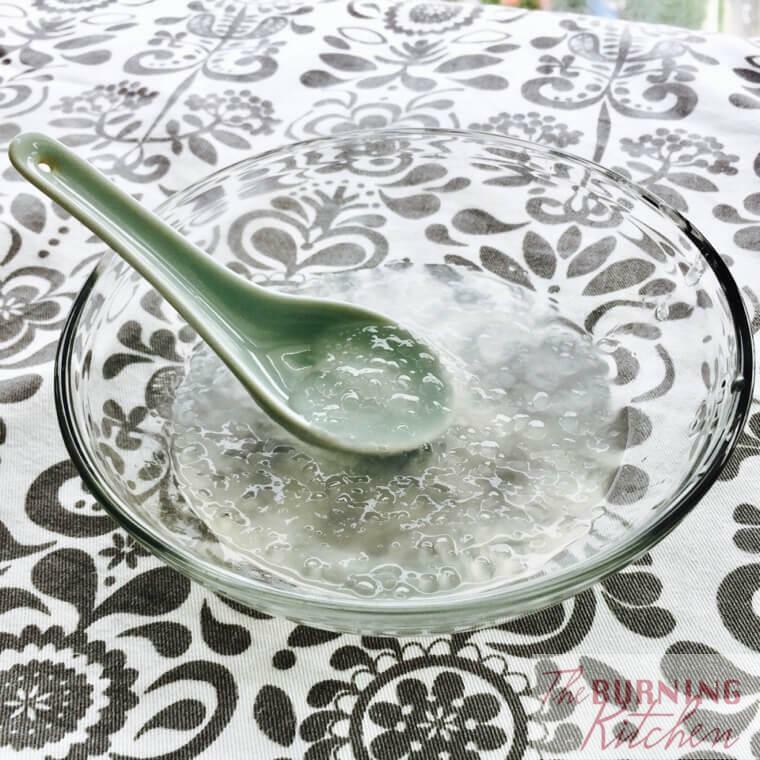 So today, we did a fun and simple experiment to show you how NOT to cook sago with three mistakes people commonly make when cooking sago. We even have a ‘scientific’ recording of the unfolding kitchen disaster! 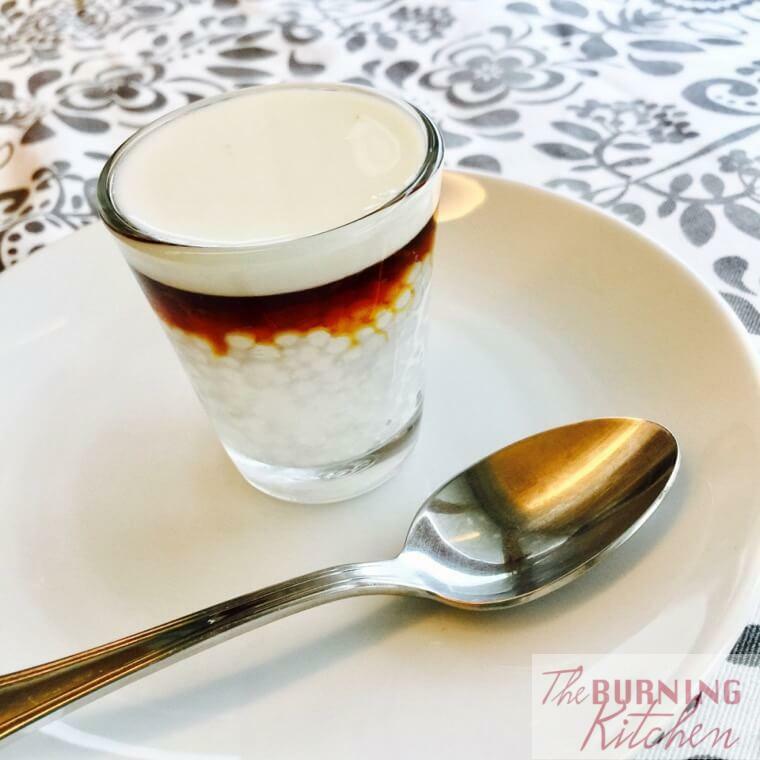 Result A is the control group – what cooked sago should actually look like. Result B is the result of our experiment ‘How not to cook sago’, and its a very sorry-looking starch solution, with a few scattered lumps of misshapen sago bits. We started with the same amount of sago for both A and B, but the volume in B reduced so much because most of it turned into starch water. 1. Measure out the amount of sago you need. 1. Measure out the amount of sago you need. Wash and drain the sago. 2. 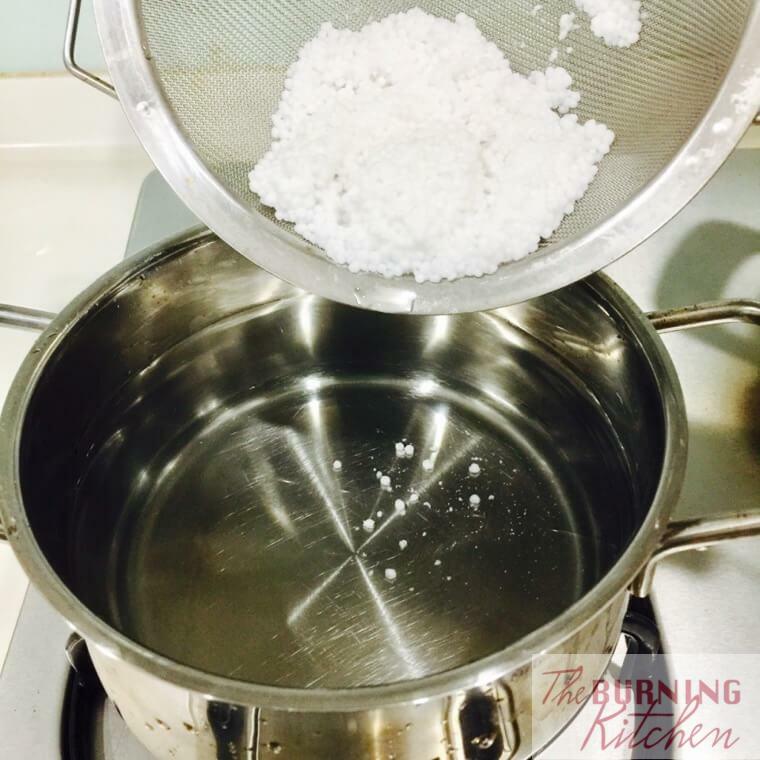 Add sago to a pot of boiling water. 2. Add sago to a pot of tap water and bring to a boil. 3. 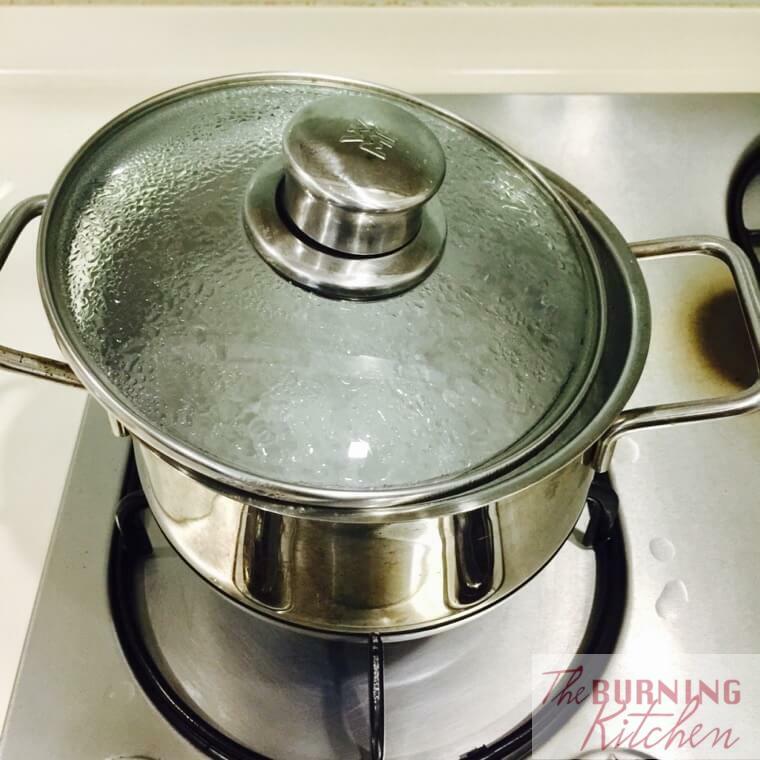 Boil for around 10-12 minutes over medium heat with the lid slightly ajar. 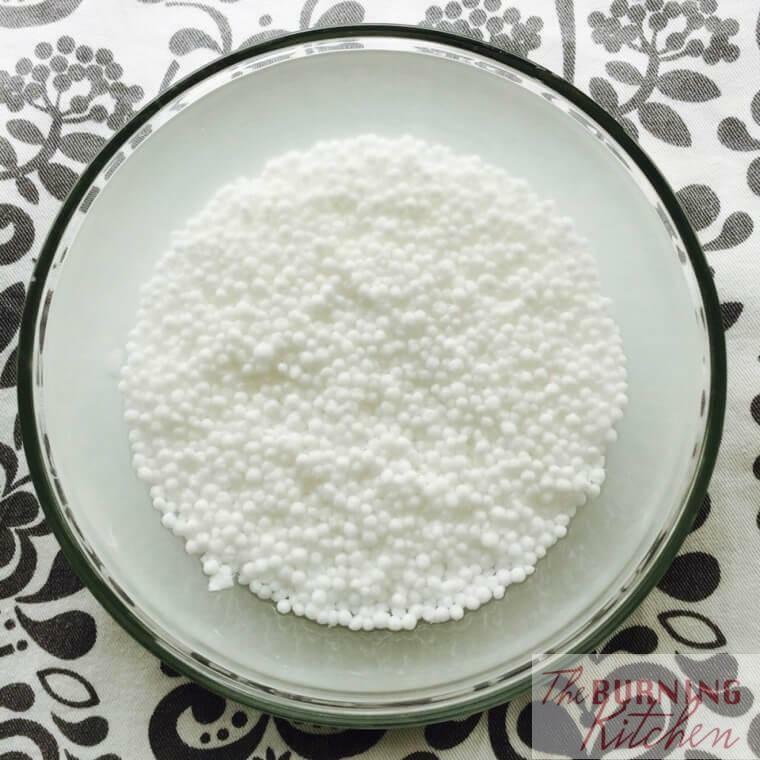 The core of the sago pearls will still look whitish because it is not completely cooked. 3. Boil until sago is cooked through. 4. 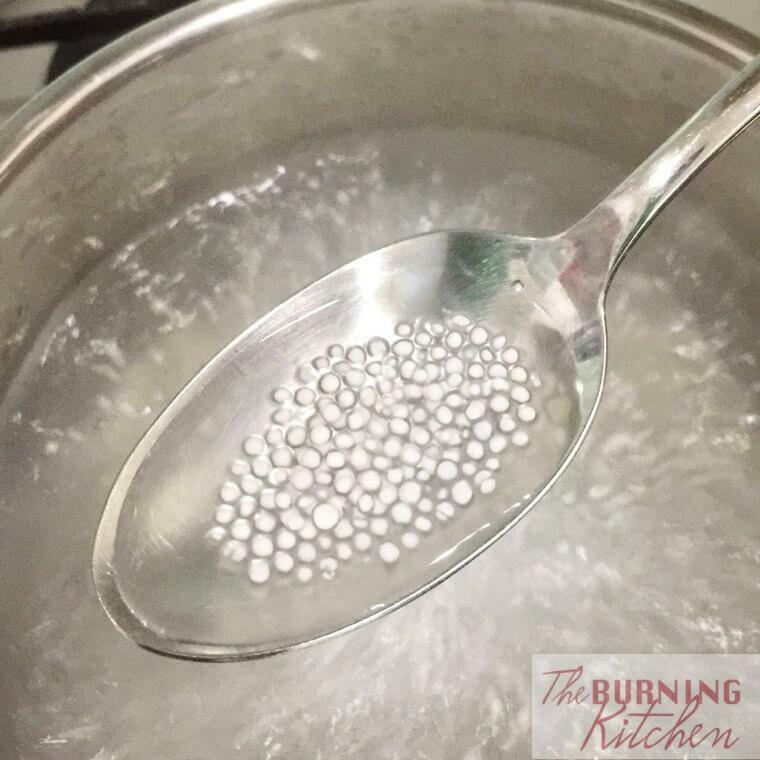 Turn off the flame and let stand for 30 minutes to allow the centre of the sago pearls to cook through. Sieve and rinse the cooked sago pearls. 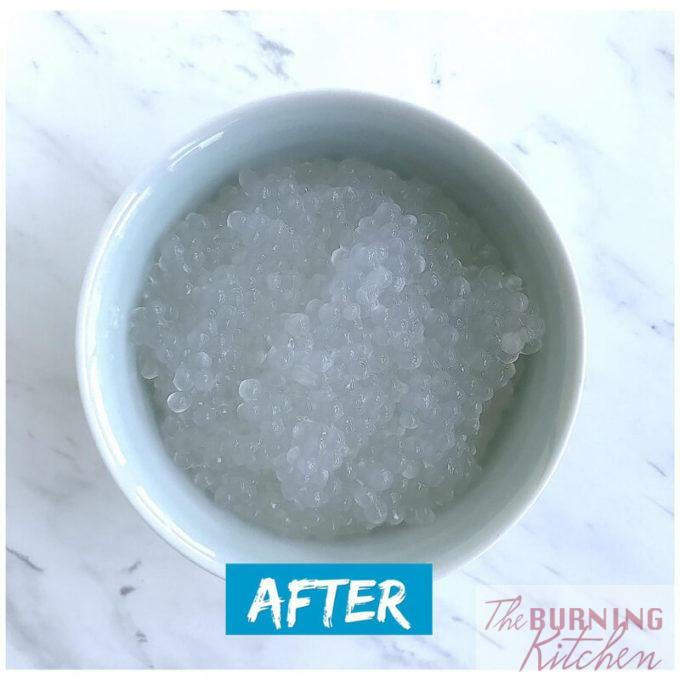 The sago should not stick to the pot. 4. Sieve and rinse the cooked sago pearls. The sago tends to stick to the pot. 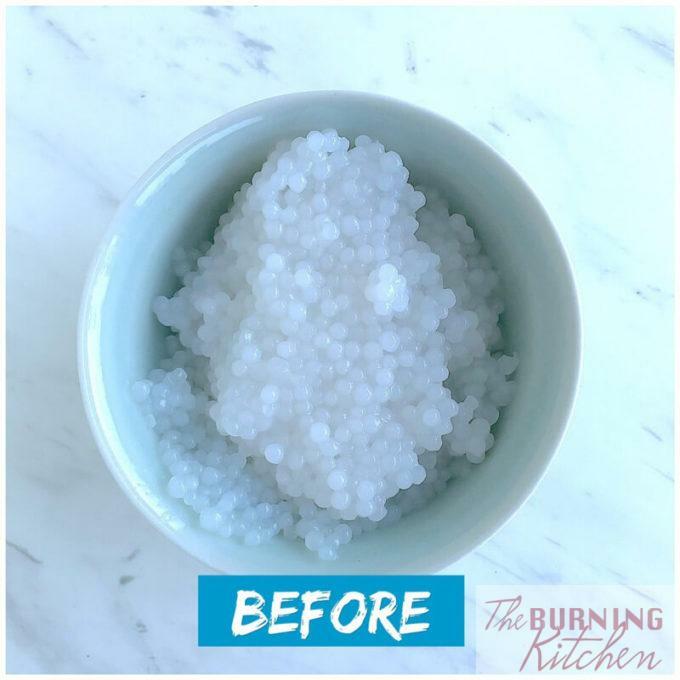 For large sago pearls, the cooking process is exactly the same, except that you have to do its twice otherwise the inner part of the sago pearl will not be cooked. So after the 1st round of cooking of the large sago pears, rinse them with water to remove excess starch. 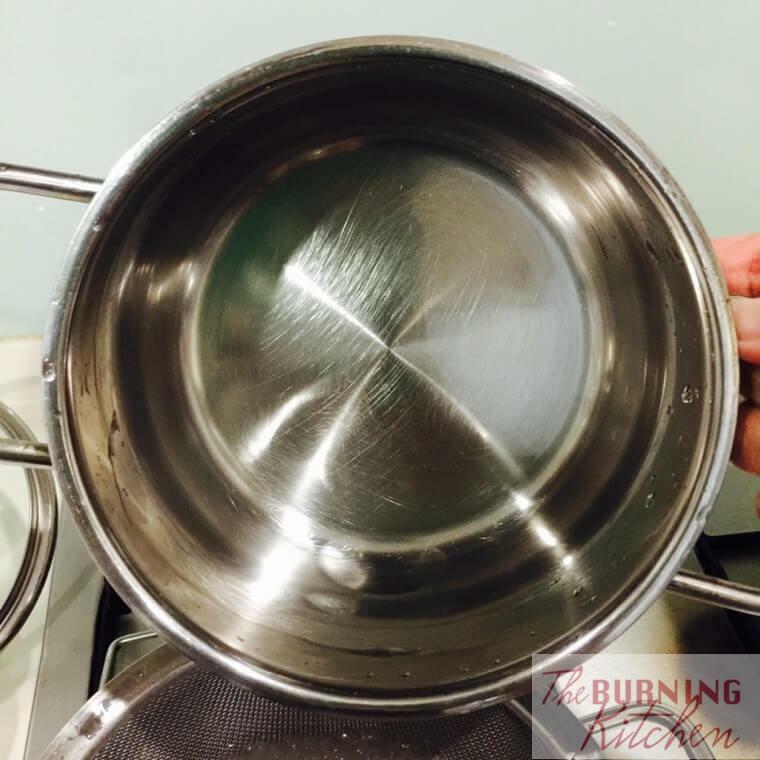 Discard the water in the pot and set a fresh pot of water to boil, then repeat the process from step 2 onwards. At the end of the second round of cooking, the white inner layer would now be be cooked through and turn transparent. Always cook the sago separately before combining with any other ingredients e.g. green bean soup or sweet potato soup. 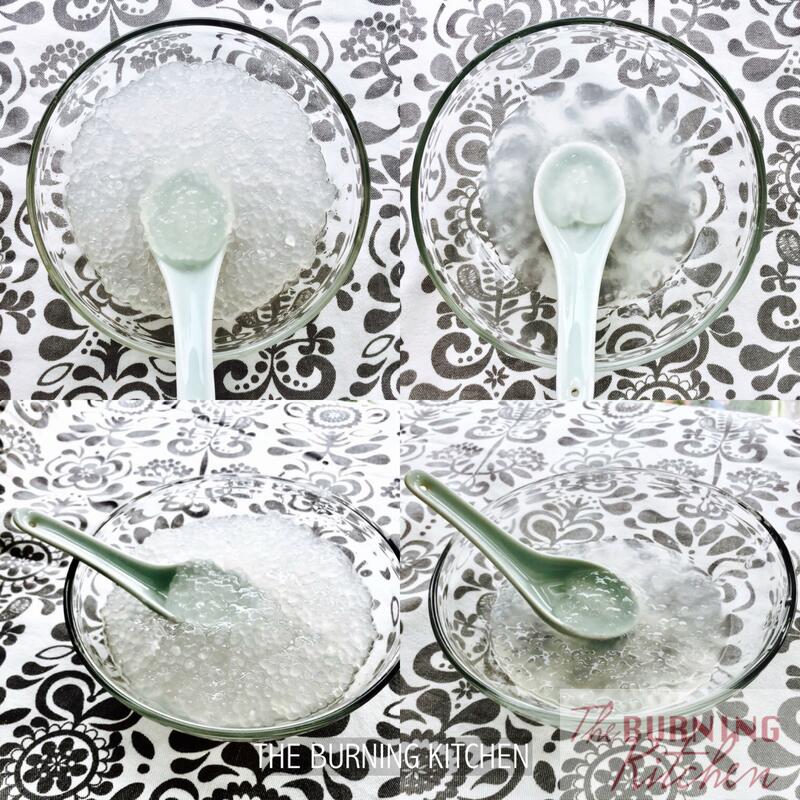 If you add the sago directly into the green bean soup, the soup will turn starchy and the sago will disintegrate leaving the centre still white because the heat will not penetrate fast enough to cook the outer layer of the sago pearl to form a seal. 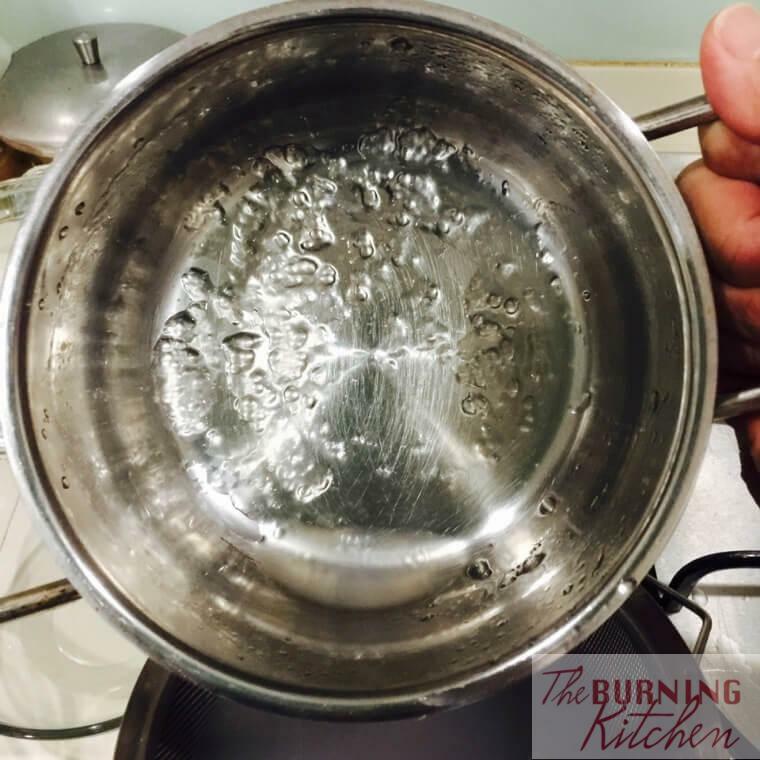 You need to use sufficient water for boiling, otherwise the water will become too starchy and the heat will not be able to penetrate well through starchy water to completely cook the sago. In my demonstration, I used 1.5 litres water for 40 grams of sago pearls, so thats approximately 1:30 ratio by volume. 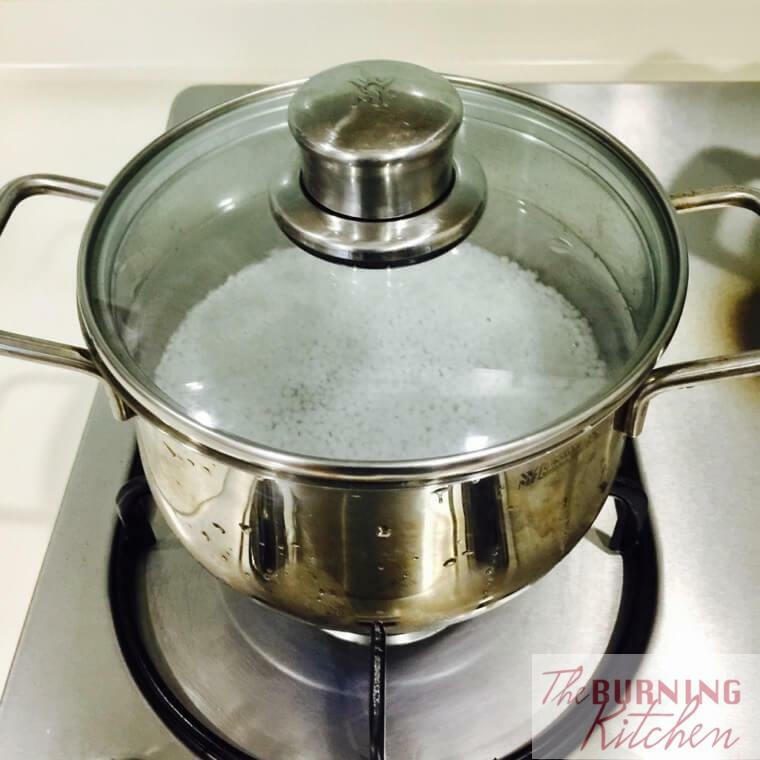 Pour the sago slowly into the boiling water, otherwise the boiling water will suddenly bubble up and overflow the pot. 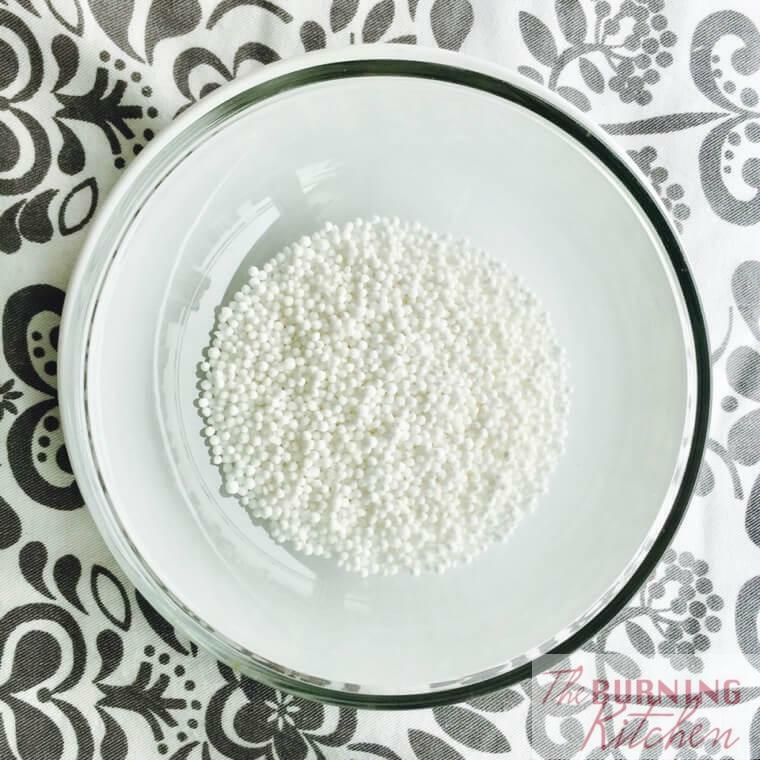 Rinsing the cooked sago pearls several times over running tap helps to remove excess starch. Baby/Toddler-Friendly: For toddlers (12 months and up); no modifications needed. 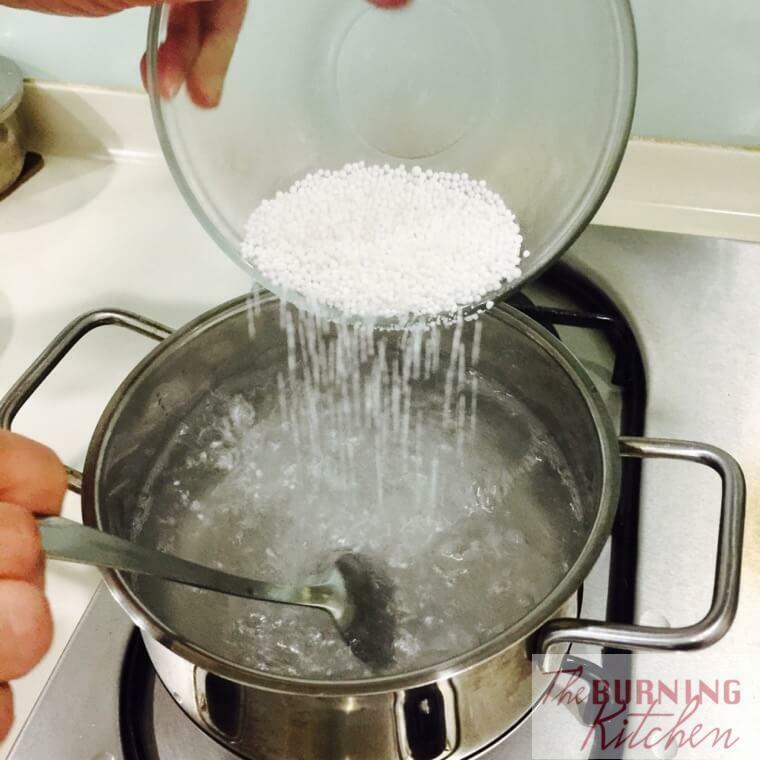 IF YOU ENJOYED THIS TUTORIAL ON HOW (NOT) TO COOK SAGO, DO CHECK OUT OUR GROWING COLLECTION OF HOW-TO TUTORIALS! This is a great tip for preparing the sago. Managed to get the sago right for the first time. Appreciate it! Thank you so much Jazz for your warm support! Really happy to hear that your first-time sago was a success! Hope you will come back to try out more recipes next time!